- SHAFFER; MURRAY. SH - BLAIR(1). SF - FREEMAN(6). SB - WILLIAMSON(12). Win - COONEY (4-6). Loss - LEONE (2-1). Save - None. WP - FREDERICK(5). HBP - by COONEY (SHAFFER); by FREDERICK (MURRAY). KENT faced 1 batter in the 7th. 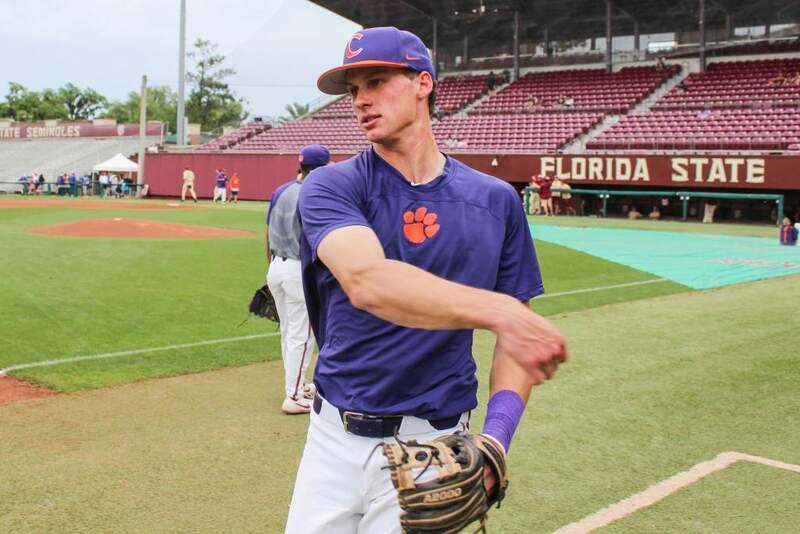 Clemson 1st - LAMB grounded out to ss. FREEMAN struck out swinging. SCHAUS flied out to lf. 0 runs, 0 hits, 0 errors, 0 LOB. swinging. 4 runs, 2 hits, 1 error, 3 LOB. 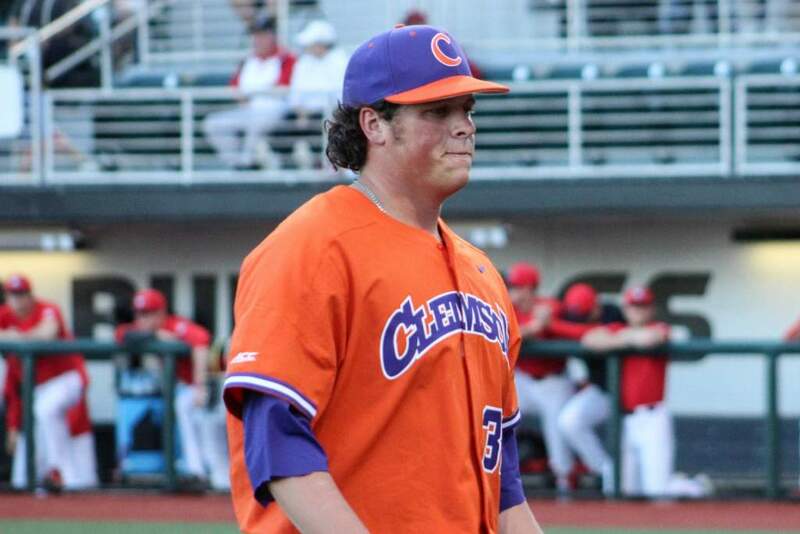 Clemson 3rd - POHL fouled out to c. LAMB tripled to right center. walked. FREEMAN flied out to lf. 0 runs, 0 hits, 0 errors, 1 LOB. 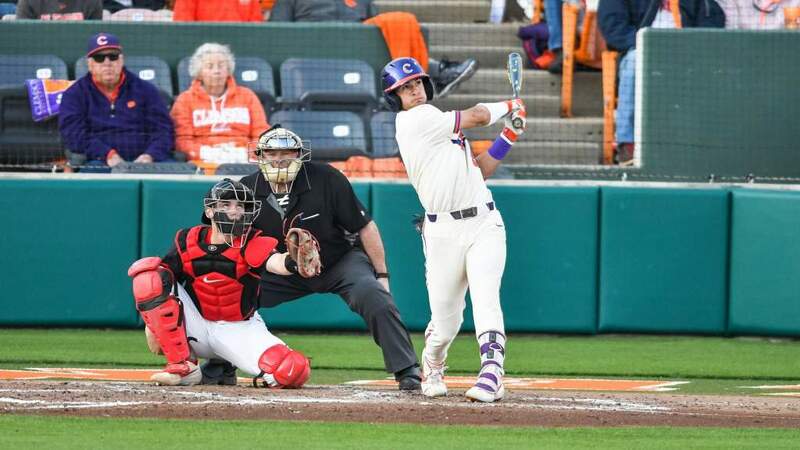 Clemson 6th - SCHAUS homered down the rf line, RBI. PARKER walked. the play. 1 run, 1 hit, 0 errors, 0 LOB. to 2b to 1b; CONWAY out on the play. 0 runs, 1 hit, 1 error, 1 LOB. 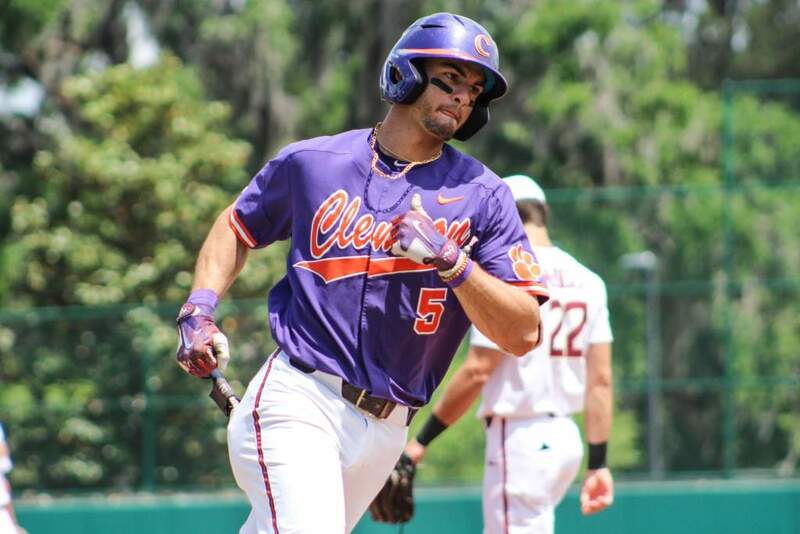 unassisted, SAC, bunt; RHINE advanced to second; LANGSTON advanced to third.